This is an excellent text for nurses at any stage of their career. It takes the reader through mindful and compassionate practice step by step with the opportunity to explore individual practice at each stage. There are plenty of examples of how mindfulness and compassionate practice can help nurses to improve and develop their skills. Each chapter introduces the nurse to various ways of practising mindfulness every day, including breathing, walking, sitting, team working, leadership and other forms that can take various lengths of time. The real value of this book is in the opportunity to adapt the skills identified to the reader's individual practice. Readers can develop their learning using online resources and reflective practice, which is important for clinical practice and revalidation. 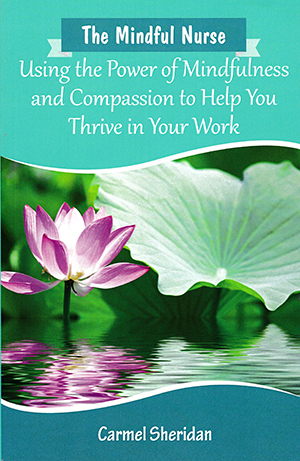 This book offers a diverse range of skills and information including the evidence base for mindful and compassionate practice. I would recommend it to all nurses who want to be able to develop their own practice.